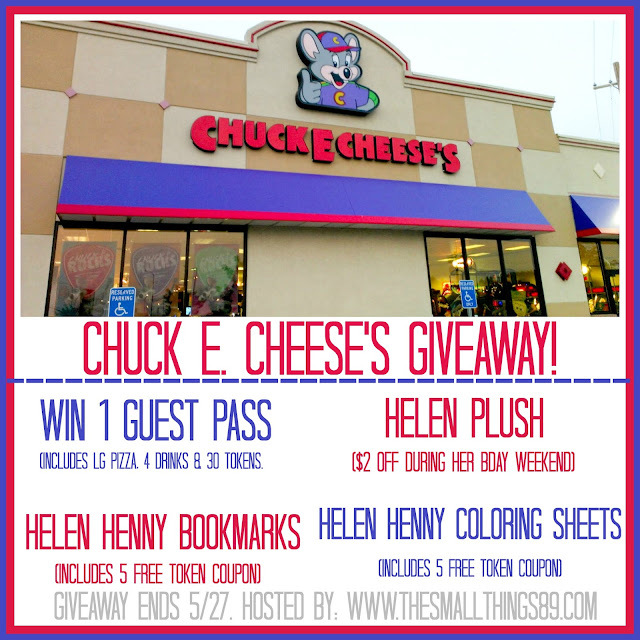 Celebrate Helen's Birthday with Chuck E. Cheese's! Enter the sweepstakes and giveaway too! HomeCelebrate Helen's Birthday with Chuck E. Cheese's! Enter the sweepstakes and giveaway too! 1. Helen Henny’s deep passion for music began at an early age, growing up in New York City—right down the street from Broadway! 2. Helen is a vegetarian – no meat for this chick! 3. Helen is a great singer, but she’s also an amazing gamer and takes pride in mastering every new game at Chuck E. Cheese’s. 4. Helen first met Chuck E. when he challenged her to a game of Pong (which of course she won!) 5. Chuck E. invited Helen to join his band right on the spot when he heard her sing a victory song after their Pong match. Check out the details about this celebration! This sounds like SO much fun too! These special deals are from 5/27- 5/29. Everyone gets a Helen Henny coloring sheet with 5 free token coupon when they leave. 1. Omaha, NE – 225 N 76th St. 2. Spokane, WA – 10007 N. Nevada St. 3. Alexandria, VA – 6301 Richmond Hwy 4. Skokie, IL – 7142 Carpenter 5. Kendall, FL – 8701 SW. 124th Ave. 6. Queens/Flushing, NY – 40-24 Collage Point Blvd Ste 8213 7. Wilmington, NC – 4389 Oleander Drive 8. Maple Grove, MN – 12945 Elm Creek Blvd. 9. Boardman, OH – 521 Boardman Poland Rd. 10. Bakersfield, CA – 3760 Ming Ave.
Visit Chuck E. Cheese's on their social channels to stay up to date with the latest below! Giveaway is open to USA. Ends 5/27. The sponsor will ship prize direct. All entries will be verified. Enter below. Goodluck! The Small Things is not responsible for prize shipment. I'm excited about the guess pass. I am most excited about the tokens. I love going in there with my kids and having an excuse to play arcade games. I am most excited about the guest pass.I love taking my Granddaughter to Chuck E Cheese. I'm most excited about the extra guest pass! That would be awesome! I'm most excited about the guest pass! My daughter loves going to chuck e cheese! Thanks for the giveaway! Im super excited for the pizza! 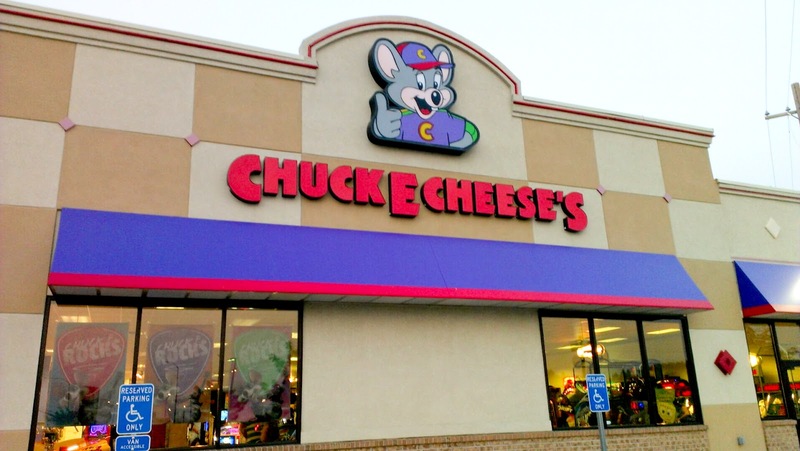 I loved Chuck E Cheese pizza as a little girl! I can't wait to share the experience with my kids! I am most excited about the guest pass- it'll save us money and have more play! I am excited about the family pass.